I need a little bit of summer in my life! With the threat of snow over the next few days of up to 4 inches, I had to have a bit of summer now to give me hope for the coming days. For me summer means countless hours outside and in a swimsuit. When I wear a swimsuit I want to look good! Thus enter Hapari and their women's swimwear. I've looked and looked over the years for swimwear that is both modest and still stylish, and I have yet to find anything as cute as Hapari. I'm quite certain that my days in a bikini are over with, so a tankini it is! Although Hapari does also sell bikinis, I have to work my body back that way so I can wear one of their adorable bikinis. Hapari has generously offered one of my readers a $96 giftcard to use on the swimwear of their choice. Winner will be chosen at random from random.org. Winner has 48 hours from being contacted to respond, or else a new winner will be chosen. 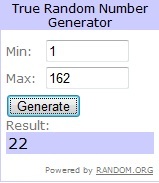 *Hapari is providing me with a giftcard for hosting this giveaway. Public follower! I tweeted my love for that beautiful, white, fluffy bikini! I follow Hapari on Twitter! I follow you on Networked Blogs! Thanks for such a great giveaway! I follow Haparis on Twitter @mom22girlz. I "like" you on FB- Kim D.
I "like" of Hapari on FB. I follow you on GFC; CarrieDust & I created a tweet using @Carriedust. Gen entered 12 times HERE...holy cow, that's A LOT of work!!! I follow you VIA GFC. I shared the URL of the Hapari website on Twitter (http://twitter.com/#!/Hyzennthlay/status/59820252363620352). I also "liked" Hapari on FB. I am a follower of this great blog!! I am a follower of Hapari on FB! I am following Jewels and Treasures on FB!! I posted on my wall on Facebook. I am a fan of Hapari on FB. I hope I win! After 3 kids I am going to look HOT in a Hapari.com suit this summer!!! I subscribed with my email to your blog. It's A Party! A Blog Party! !